With so many value brands on the high street or in our supermarkets you can always bag a bargain on key essentials; one being the winter coat. Whilst it’s lovely to invest in a classic that will last years and years, this is fine if you buy it in neutrals likes camel, black or navy but when it comes to trends – TRENDS YOU DO NOT INVEST IN. 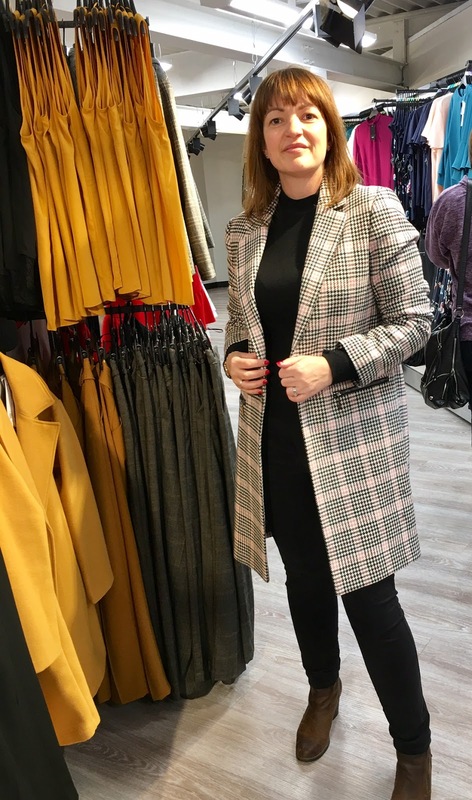 It is key then to spend wisely; the average cost of a coat on the high street is just under the £100, but if it’s a colour or a style that you are not going to where next year, I would say you have four months at best to get your money’s worth. That’s nearly £25 a month on wearing this coat; plus because it’s a high value, you will never give it away; so once you tire of it, it’s going to hang there… taking up space in your wardrobe. That’s why I would suggest not spending much; because once you’re done with it you will be happy to pass it on and let someone else benefit from it – it’s a win-win. 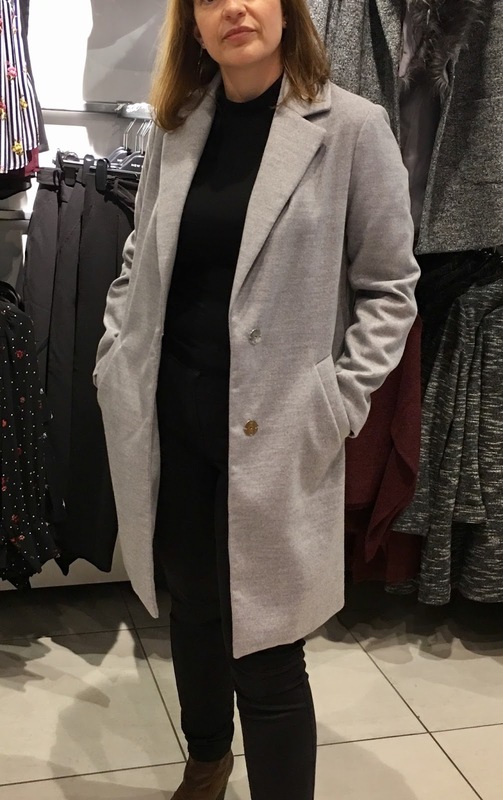 I’ve been out and about having a good look, and some of my favourite brands didn’t meet the criteria; it had to be a winter coat that you could wear to the office that was under £50; what I found was once you got to £39, the price jumped to £89, and so really you can get a winter coat for under £40. Now not all of these you will be able to just click through and buy, so you will need to head into store if you like any of the choices below. So let’s start with this one above from New Look, I really liked the feel of the coat, lovely and soft. It’s not really my colour but if you have light-cool colourings (Summer) then this will be idea for you. At this price you are not going to get wool, this is made from 90% Polyester, 9% Viscose, 1% Elastane – but I was pleasantly surprised at how warm it felt to touch and on. A simple style long coat with double pockets and it has two large poppers on the front to fasten it up. I opted for a 12 first, my normal starting point with coats, and I had to go down a size to a 10 to get it to fit right on the shoulders. 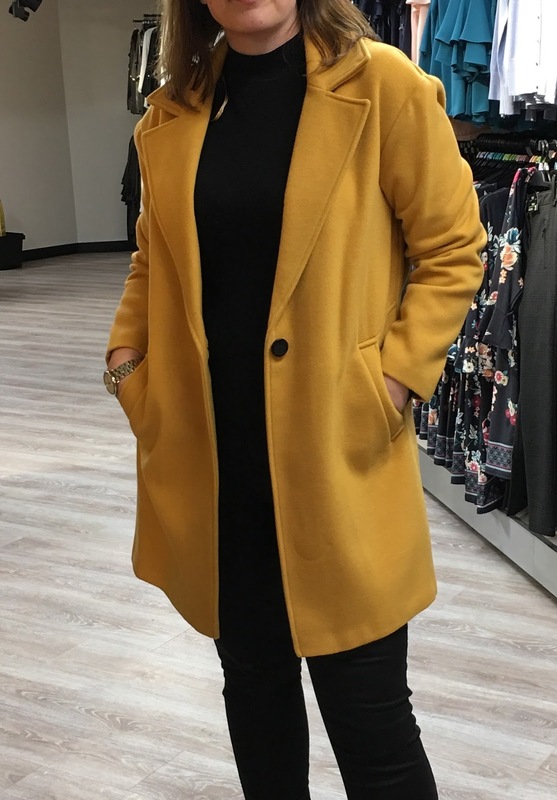 They also had it in a mustard colour, which I loved, but they didn’t have my size and I see it’s not online so it’s proving a very popular choice! Moving on to George at Asda, renowned for being great value. 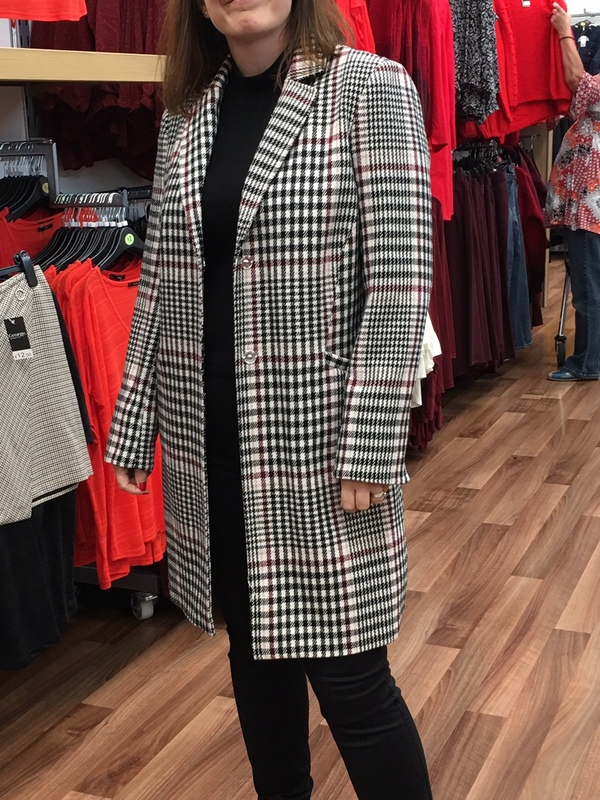 This next coat is very trendy with the checked theme, personally not my thing, but I’m seeing this style worn by lots of lovely ladies and I think you can’t go wrong at £25. The mix of fibres are 62% Polyester, 19% Acrylic, 8% Viscose, 5% Nylon, 5% Cotton, 1% Wool and I think accessorised with a fabulous scarf and a nice black handbag, you can’t go wrong with this one! I found the arms a little long, but the size 12 fit nicely on the shoulders. They also had it in black and a burgundy both just as good! Tesco’s had two great choices, and was surprising the most expensive. Their F&F brand has been around for ages, and I find the quality very good. 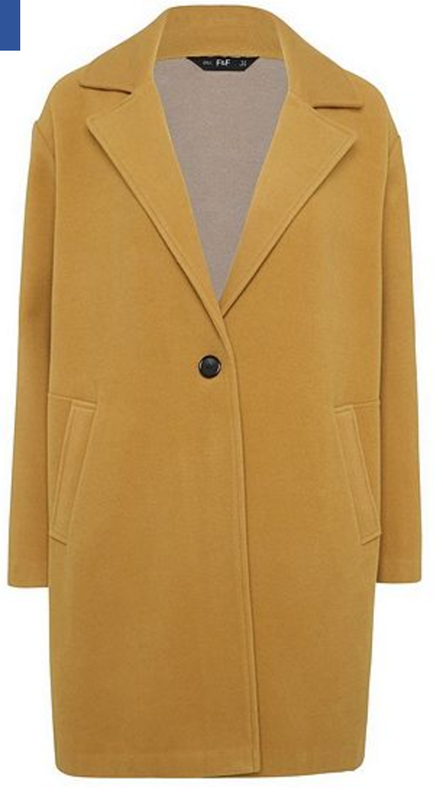 My favourite of the two is the mustard boyfriend coat, again just like the New Look one, I loved the feel and it was a great muted colour ochre, as some can be quite bright. The boyfriend style doesn’t really work well for me personally as I have an hourglass body shape and so I don’t carry off a heavy shoulder very well. But it’s snuggly and warm and I liked it very much. This one comes in four colours, blush pink, ochre yellow, grey and red, and it’s £39. I’m wearing the 12 so it’s true to size. I couldn’t find the checked one below online, so you would need to head in store to see if they have it. Although I am personally not keen on the checked design, I much preferred this one to the George option, again it is £39, but I think it’s a much better fit as a size 12 and I thought it just looked better on. And I finishing with my favourite! If we hadn’t of started with this one I may just have purchased it on this shopping trip – that’s not to say I may not go back! I cannot find it online, but that’s quite typical of Primark, they love for you to head in store for their best buys! 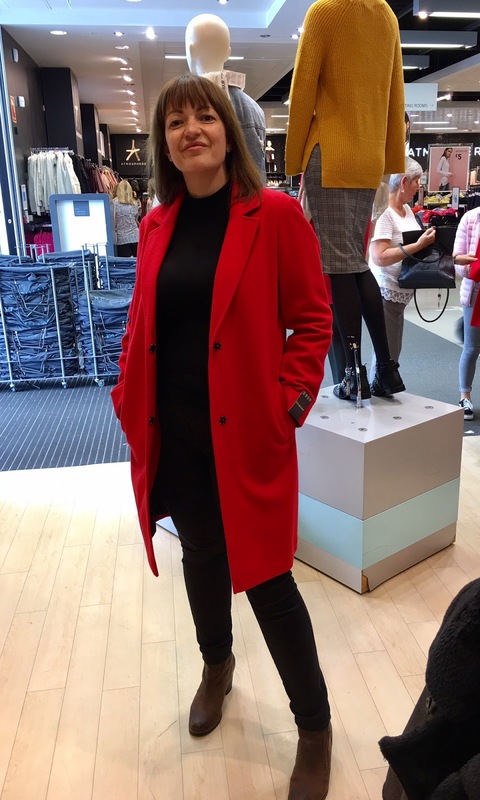 I love love love this red coat, not quite as soft as the New Look one, but the colour is very me and at £25 you cannot go wrong! It looked stylish, the size 12 fitted very well – and so for me, this is the one that gets 10/10. 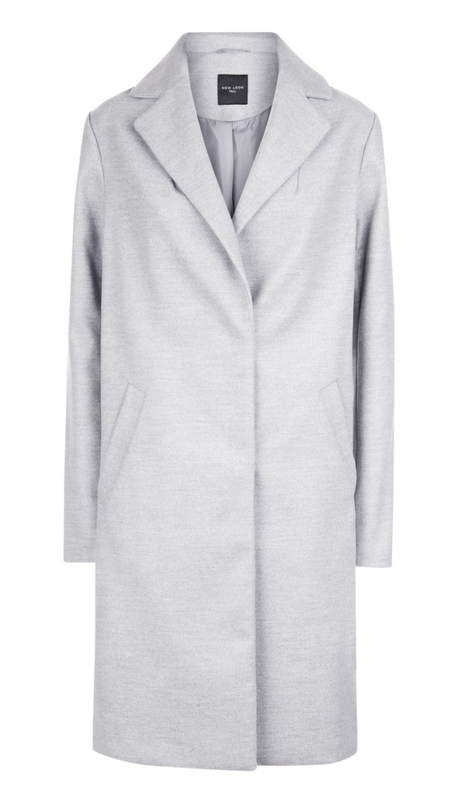 The post My top 5 winter coats under £40 was on Loved by Lizzi first.